Now that the quarterback rankings are out there for the world to read, it’s time to move on to their targets; the wide receivers. Wideouts have become the new running backs in many ways. 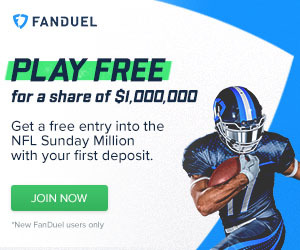 They are the high scoring players on many teams, both real and in fantasy football. If your team is weak at receiver, then you are probably going to get trounced in your match-ups so pay attention to our 2016 fantasy football wide receiver PPR rankings. Antonio Brown grabs the top spot among wide receivers. It would be difficult for me to accept any argument for a different number one wide receiver. The only valid concern here is really the health of Ben Roethlisberger as he is the key to Brown’s uber-elite status. 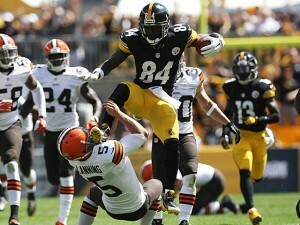 As long as Roethlisberger is on the field Brown is my number one and it is not even close. Unlike the number 1 spot, I had to give this one quite a bit of consideration. I think that Beckham may be the most talented receiver in the league, but opponents can get into his head. This has led to a couple of clunkers. For the most part, elite production can be expected from OBJ on a weekly basis and that makes him my number 2. Jones was right in the running for my second spot as I think that he will be big time this season. Last year, Matt Ryan had a bad season and Jones was still one of the better options available. If Ryan can bounce back this year, look for Jones to be at least top three with an almost limitless ceiling. Hopkins was able to thrive last season with suspect quarterback play. The quarterback is still a bit of a question this season, as Osweiler is largely untested. One thing that is not a question however, is the skill level of Hopkins. He will be elite once again, no matter who is throwing the passes. (This is assuming that the Texans don’t sign Johnny Manziel or Michael Vick in the next month). I don’t think that A.J. Green gets enough respect for being a top level receiver. His quarterback is not elite, but the combo of Green and Dalton have put up some monster games. This is a guy who single-handedly can win a match-up in any given week. I think that he has a huge season and is a top-five receiver. 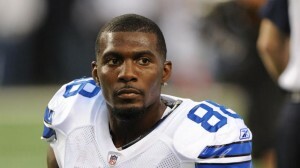 Don't look at me like that Dez, your situation is not ideal so your ranking falls. Bryant is as good as any receiver in the league, but the Cowboys should look to run the ball a TON this season. Tony Romo cannot take too many more hits and the ‘Boys drafted an absolute stud running back in the first round. Bryant will make a lot of plays, but in the end he will not have as many opportunities as some of the top tier receivers. Assuming that Nelson and Rodgers get back on the same page quickly, the two of them are nearly unstoppable. Nelson is another player like A.J. Green who may be overlooked by the casual fan. Anyone who has had Nelson on a fantasy team knows his value and he should easily be a top 10 receiver this season. I was not a believer that Robinson could be a big time receiver coming out of college, but boy has he shut me up. Robinson is big and strong and he is capable of making plays that few receivers can. With another year of development for Robinson and Blake Bortles, the duo should be putting up some serious numbers this season. Allen is going to see a crazy amount of targets from Philip Rivers this season and that translates to a tone of points in PPR. Travis Benjamin’s arrival in San Diego is finally going to open up some room for Allen to operate. The fact that he will not be double teamed on every play will mean good things in the points department. Look for Allen to surprise some people this season. Jeffery is a dynamic receiver who is capable of going the distance at any time. He also plays in a mediocre offense with a turnover prone quarterback. If Cutler can get his head together this season then this ranking could be a bit low, but how many times have people said “if Cutler can get his head together”. So there are the early rankings for wide receivers. Be sure to keep an eye on injury reports and preseason position battles as always. Good luck with the draft and stick around for my running back and tight end fantasy football rankings later this week.